I mentioned in a post today that I suffer from DADD (Decorating Attention Deficit Disorder). Can anyone out there relate? You move a bunch of things into your hallway, start covering everything in paint, sawdust, power tools, and fabric and then become overwhelmed or paralyzed. So then you move on to creating something else in a different part of the house while the first project sits unfinished and haunts you. That is DADD at it’s finest my friends! Due to DADD, my house is currently one giant, horrific mess. In fact it’s so messy that the word mess should be capitalized because I’m confident by now it has become it’s own proper noun. Mess has taken over and is holding me hostage. It’s the temporary dark side of being a creative who uses her home as her canvas. 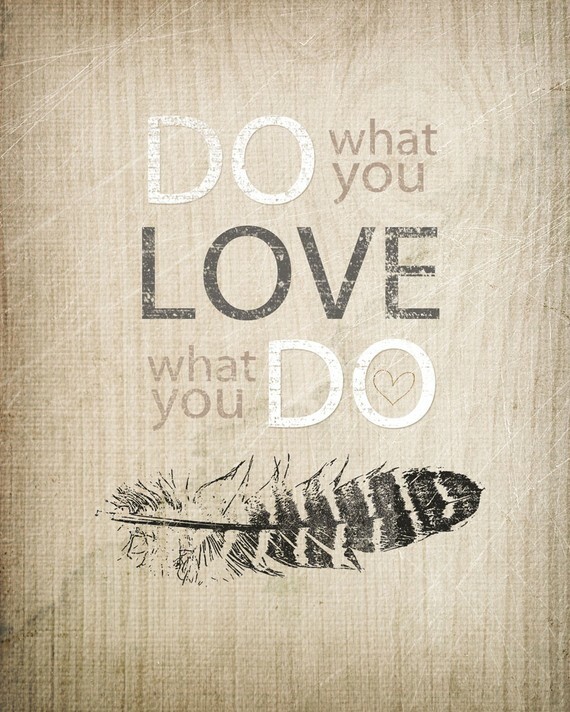 Fortunately, I love what I do! And more pertinent to tonight’s post, I love watching all of you week after week love what you do! You share your gifts, talents, tips and tutes freely with anyone willing to drop by. It’s an honor to check in with you each week and to feature your best work. Thanks for your willingness to share what you love with all of us! Now I have to go wrangle the MESS. Wish me luck! Party rules are simple. If you link up, please include a text link within your post linking back to this post. Thanks! Last week’s features will be posted on Wednesday! Great party, Beth! Thank a lot for having us…. Thanks so much for hosting, Beth! I read recently that mess can and should have it’s place in life once in awhile. Mess is okay. I’m not so good at living by that, and I’m glad I am, but I need to do much better at allowing a mess or two, or more at times. Enjoy your day! So glad you shared your DADD. I have it, but my version is called ADDD. Attention Deficit Decorating Disorder. It has been so hard to control it, but each month I think I do a little better. (although my staircase that has been under construction for over 6 months now, plus my hallway upstairs with only subfloors say otherwise). I think it is a common thing among DIYers. good luck with yours! I have DADD as well. I even took a quiz online and came up 33% in 3 different catagories – it just justifies my disorder I guess. Also because of this my house is a mish mash of everything and anything. I need to try to concentrate and find the one thing that links these things together and hone in on that! I have talked about it on my blog before…. it’s a problem. I definitely suffer from that too! Thanks for hosting – enjoy your week! Thanks for hosting Beth! I completely relate – I have DADD too!! I’m blaming it on the long cold snowy winter we are having this year! I have DADD and I don’t, I move on to something when I lose inspiration and can’t think of a way to finish off what I have started…I am trying to fix that, because after a while I get so frustrated looking at it being undo and then I start all over! LOL Thank you for hosting! Thank you so much for hosting Beth! I suffer from PADD–Project Attention Deficit Disorder! Ha! Have a great week! Thanks for the party Beth! I totally know what you mean about DADD! I have it baaaaaad! hahaha! Difficult to reel in a creative mind I guess. Hope you are off to a great start of your week, even if it is messy! Thanks for hosting Beth, have a great week!! Yes, I suffer from this too! I owe it, in part, to blogs and pinterest! Yet I keep coming back for more and in my own way probably contribute to the problem! Good luck with your project(s)! I definitely suffer from the same disorder;) Glad to know I’m not alone! Thanks for hosting! I have that same disease…and I’m not sure I want a cure!! Thanks for hosting – have a good week! I’m right with you on this. I was justing saying that our home is wreck as we are changing up our daughters room. Thanks for hosting. Girl, I know all about DADD over here! I think my husband prays every day for a cure, lol! Oh well! The mess will turn into something amazing eventually, right? (At least I hope so! 😉 ) Thanks so much for hosting, Beth! Have a wonderful week! When you are done wrangling your giant mess, can you come help me with mine? I have DADD, too! I am currently working on something in almost every room in our house. On top of that, we just separated our girls into their own rooms this weekend. That is soo not done! Hmm….Oh well…it is tons of fun as you said! Thanks for hosting! Thanks so much for the party, Beth. And YES, I definitely suffer from DADD! Glad to know I am not the only one.